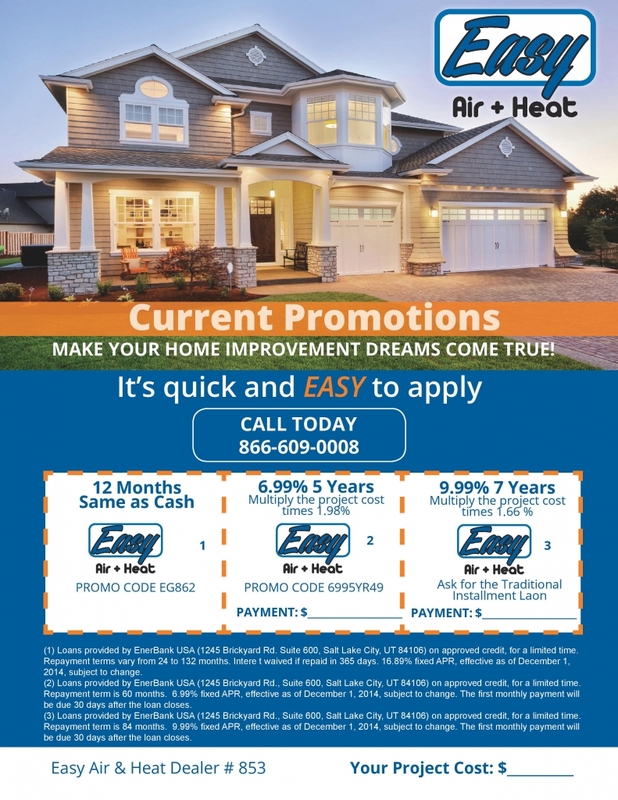 Easy Air & Heat offers a wide variety of financing and payment solutions to help every customer fit just about every budget. From traditional installment loans to revolving credit- we have financing solutions to help you and your family easily purchase the systems and/or repairs needed to keep you comfortable and happy all year long. Please schedule a time to discuss all of the options available to you with one of our comfort advisors, but here is a brochure on our current offers for 2016.